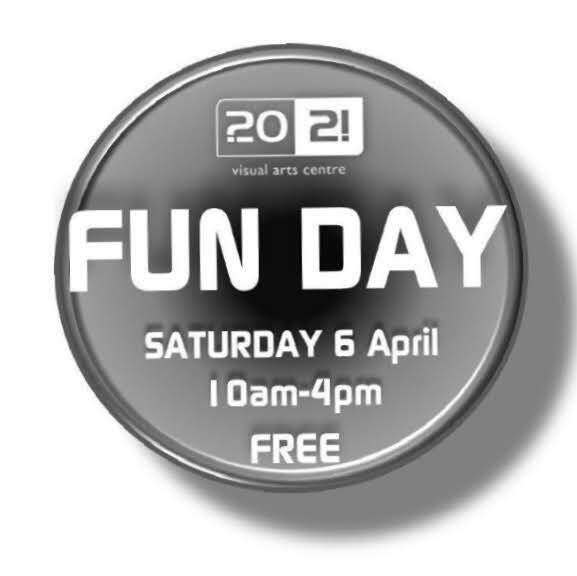 Here at 20-21 Visual Arts Centre we offer a number of fundays throughout the year. 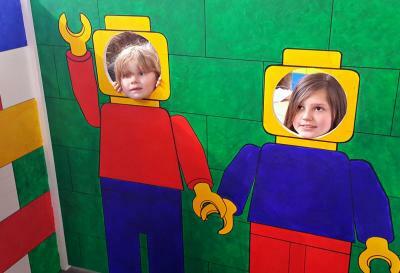 These are usually linked to our exhibitions and are family orientated. As well as our artivity table, we have as many different activities, often with exhibiting artists. We also regularly feature children’s entertainers, and have lots of helpful volunteers to make sure you enjoy your day. For further information on any of our upcoming events, email 20-21.epd@northlincs.gov.uk or call 01724 297070. Our recent Funday here at 20-21 was a great success! On 6 April we celebrated the start of the Easter holidays, and the opening of our new exhibition, Speaking Tubes by IOU Theatre with a day of fun activities for all the family, combining music, performance and art. The Speaking Tubes installation consists of a giant ring of air conducting tubes which channel sound around at supersonic speeds. You can step into the special listening zones and explore the soundscape. Look out for the miniature working model of a vortex cannon to discover how the Speaking Tubes operate. At our activity table visitors made a Big Bunny, the first in a series of Easter themed makes over the holiday period and also had a go at making their own creatively colourful Megaphone, inspired by Speaking Tubes. Our monthly Life Drawing session was at the slightly earlier time of 9.45-11.45am for adults aged 18+ (£6pp). However, this month, we also gave everyone a chance to have a go at FREE Life Drawing on the Move in the main gallery (with a clothed model, of course!). Our model was in the main gallery from 1-1.30pm but he wasn’t standing still, so everyone had to be quick on the draw! One of our staff was on hand to offer assistance and advice. Kinetic sculptor Jim Bond was here all day with his Drawing Machines. Everyone really enjoyed the challenge of drawing as the mechanism added random movements to their pens and transformed their lines. Experimental Sonic Machines (Peter K Rollings, as seen on Britain’s Got Talent) performed for us, with his own unique collection of electro-mechanical music machines made from scrap materials. And he brought along robot drummer Ernie! Creative percussionist Gary Hammond joined us for a session, with a mixture of drums and soundscape instruments such as vibratones and air pipes. Visitors to the Funday joined him to create music in the moment responding to Speaking Tubes on a wide range of instruments. Sarah Anne Smith visited the gallery in the afternoon to lead a free drop in activity. Everyone enjoyed creating quirky mini hanging sculptures from recycled plastic and other materials. Sick Bookies rounded off the afternoon with some brilliant original live music in our Education Room. This Lincoln based band filled the gallery with the sounds of their experimental electronic music. Along with free edible whistles, there was so much to see and do. We hope you enjoyed it! Our events are suitable for all, but children under-eight must be accompanied by a participating adult. 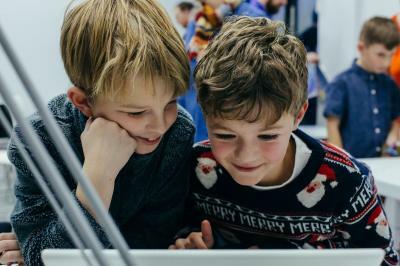 To find out more about the events and activities taking place at 20-21, please visit our What’s on pages.